Dartmouth Circle is quiet, exclusive – and that’s just the way its residents want it to stay. Especially queen bee and arch busybody Sheila Colby. 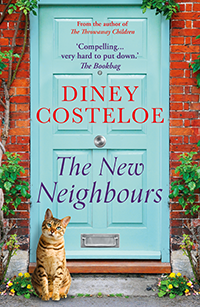 When she hears that the house next door to her has been bought for a student and four friends to rent, she is incandescent. Think of the noise, the parties, the comings and goings – and worse. Somehow it must be stopped. But of course it can’t be. And anyway, nothing in this outwardly serene and beautiful little cul-de-sac is quite as it seems. There are seething tensions and quite dark secrets only just below the façade. Will the arrival of Madeleine ‘Mad’ Richmond and her friends bring them bubbling to the surface?